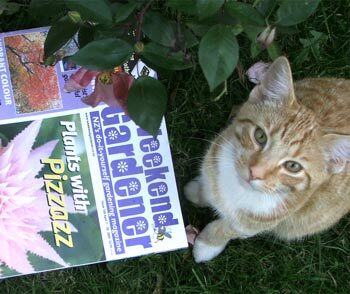 Weekend gardener, which styles itself 'New Zealand's do-it-yourself gardening magazine' has been out for a while now. The name has ironically put me off buying it - if it was called 'Daily Gardening' I'd have probably snapped up a subscription! Weekend gardener is a nice, lazy read. It has lots of colour, and colourful adverts, varied fonts and styles, and busy headings. Weekend Gardener also has an independence guarantee - it doesn't get paid to promote the brands and products mentioned in its stories. Country Gardens	Top Gardening Which?